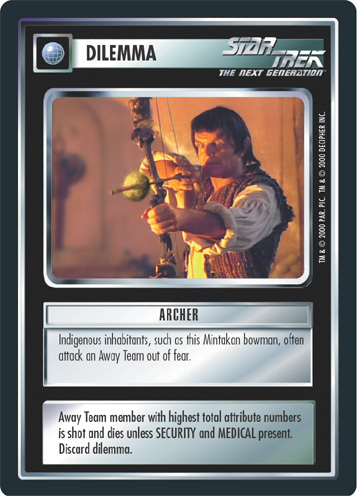 Indigenous inhabitants, such as this Mintakan bowman, often attack an Away Team out of fear. Away Team member with highest total attribute numbers is shot and dies unless SECURITY + MEDICAL present. Discard dilemma.